At Plymouth VIP Auto, we know it is important for your vehicle to not only perform its best, but also to look it’s best. That is why we are proud to offer our top-quality car wash in Plymouth. 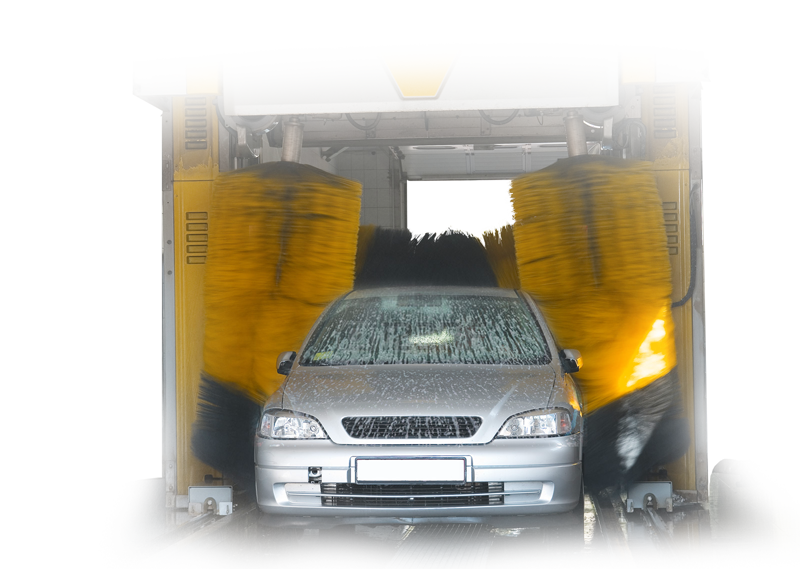 Our state-of-the-art soft cloth tunnel car wash is the finest car wash in the area, and we offer a variety of car wash packages to best meet your specific needs. In fact, our Plymouth car wash accommodates a wide range of vehicles including cars, trucks, limousines and vans. So, you can bring all of your family and business vehicles to our car wash, and we will make sure they leave sparkling and clean! To better serve you, the car wash entrance is staffed at all times with an attendant who will prep your vehicle and guide you onto the conveyor. We know that not only do you want a clean car, but you also want a fast car wash so that you can continue completing other tasks during your day. That is why our Plymouth car wash is set up to maximize the quality of your cash wash service and minimize your wait time. Our 112 foot long car wash can accommodate five cars inside the wash at the same time, and it has a vehicle height clearance of 86 inches. That means we are equipped to get a variety of different vehicles washed at once, which saves you time. Even if the line is around the building the estimated wait and wash time is usually under five minutes! Bring your vehicle by today and see why we provide the best car wash Plymouth has to offer! Car wash books make a great gift idea! Each book includes 4 car washes. When you sign up inside the store, a RFID tag is put in your window. That tag allows the vehicle to enter the Plymouth Station Car Wash anytime the wash is open, as many times as you like. You will not have to come inside or get gas at the pump to purchase a wash. You don’t have to hold on to receipts or membership cards. Simply drive directly to the car wash entrance and head on through! Cancel anytime BEFORE your next billing date. You will be billed on your sign up day and then every month on the day corresponding to the commencement date until you cancel. You can cancel in the store with the assistance of an associate. Once you cancel you will have the remainder of the period to use the services you paid for. No refunds or credits will be given for partial periods. CAN I USE THIS AT OTHER Locations? No. The tag will only work at this location. IF I GET A NEW CAR CAN I TRANSFER MY MEMBERSHIP TO THE NEW CAR? Yes. See an associate inside the store. Click Here to Customize your Car Wash Package!